INBOX: PROTECTING MILITARY KIDS — The Senate this week will consider the annual defense policy measure, and this year’s includes several provisions aimed at better protecting children on military bases, including at Defense Department–run schools, from assaults by other children. The Associated Press in the spring published an article detailing the military’s difficulty in protecting children on base, including schools run by the Defense Department, from sexual harassment and assault committed by other children. Military law doesn’t apply to civilians, and the Justice Department, which has jurisdiction, doesn’t often prosecute crimes on base, according to the AP. The Pentagon doesn’t have a central system to track the issue; the AP, through interviews and records requests, documented 600 such cases since 2007. It would also require the department to start keeping a database of such incidents. Committee leaders also added a provision requiring the Defense Department’s inspector general to review policies. A separate review by the Government Accountability Office is underway, the AP reported. The House bill would also require the establishment of a centralized database, but it doesn’t mention the applicability of Title IX. After the Senate passes its measure, the two will have to be reconciled. Education Secretary Betsy DeVos in a statement after his confirmation praised Marcus as a “strong advocate for victims of intolerance and discrimination” who won’t back down from protecting the civil rights of all students. The pace of nominations, and then confirmation, of Education Department officials has been particularly slow even amid the unusually plodding confirmation process for presidential appointments. As of Friday, the administration had nominated four people who were still awaiting Senate confirmation. There are three positions, including undersecretary, for which no one has been nominated. Majority Leader Mitch McConnell announced last week that he is canceling most of the Senate’s traditional August recess to deal with, among other issues, nominations. During DeVos’s visit to Switzerland, she highlighted vocational training and apprenticeships. The European trip meant DeVos missed the first public listening session of the school safety commission; she sent Deputy Secretary Mick Zais in her stead. TUESDAY: ACLU — The American Civil Liberties Union holds a membership conference, with sessions focused on Dreamers and rights for transgender people. The group has represented Gavin Grimm in his ongoing court battle over the right to access facilities matching his gender identity. WEDNESDAY: CHARTER SCHOOLS — The House Education and the Workforce Committee holds a hearing on “the power of charter schools.” The primary federal role in charter schools comes through the federal Charter School Program, which provides funding to help the startup and expansion of high-quality charter schools. 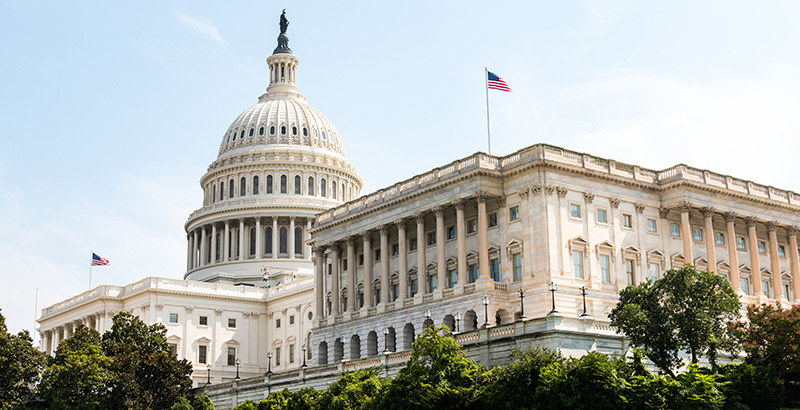 Congress has increased annual funding for the program in recent years; it received $400 million in the appropriations measure passed in the spring. WEDNESDAY: INDIAN AFFAIRS – The Senate Indian Affairs Committee holds a hearing on turning around Indian programs labeled “high-risk” by the Government Accountability Office. The Bureau of Indian Education was included on that list last year, and senators dressed down the agency’s leadership in a hearing for accounting and school safety failures. The committee also held a separate hearing just on the BIE earlier this spring.